The Red Bull Music Academy 2008 alumni and repatriated Irishman perfectly fits with its unique blend of cosmic disco, deep house and modern techno into the German capital Berlin. His back-to-back DJ sets with Kristian Raedle from Âme are legendary and his interpretation of house assures the co-founder of Innervisions that thanks to Mano le Tough the genre will have a future. His music is like whisky: warm, influential and effective. Greystone/Ireland born Niall Mannion a.k.a. Mano le Tough moved to Berlin at an age of 24 and attracted international attention with an EP on cosmic disco viking Prins Thomas’ Internasjonal imprint. Mannion’s music is genre-spanning with a signature mix of modern disco, atmospheric house and deep techno elements. His emotional approach to house attracted further demand and releases at Tensnake’s Mirau imprint, Dirt Crew Recordings and Ben Watt’s Buzzin fly followed his international debut. Tracks of artist like Aloe Macc, Midnight, Flowers and Sea Creatures received all makeovers of the Irishman and his massive remix for Roisin Murphy’s “Simulation” released on Munich-based Permanent Vacation hit dance floors around the world or the Boilerroom Party at Dixon and Âme’s hotel room during the Amsterdam Dance Event 2012. 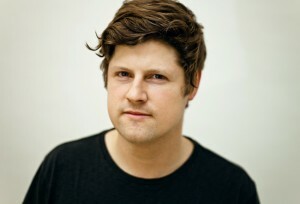 In 2013, Mannion released his debut album “Changing Days” at Permanent Vacation and received international accolades. His signature sound differentiates itself from others with bittersweet melodies and atmospheric moods appealing both to ravers and pop trained listeners alike. He founded together with “The Drifter”, his old friend since schoolyard, Maeve Records (distributed by Kompakt) with the ambition to release beautiful, special records that will touch the hearts of the listeners. After adolescence spent playing in bands, Mannion and The Drifter got involved in Dublin’s club scene where their appetite for DJing and running club nights started. After a while, both moved to Berlin and established a monthly Party called “Passion Beat” first at Kleine Reise and now at Loftus Hall in Berlin. While his loyal fan base is growing constantly, bookings worldwide replaced his weekend schedule and today he plays some of the world’s best clubs as Berlin’s Panorama Bar, Amsterdam’s Trouw or Robert Johnson in Offenbach. Mannion tries to make music with an emotional resonance without being too sentimental. It’s an attempt, as he describes in his own words, “to try and connect with the listener on a deeper level and add something to their lives that’s more than a hands-in-the-air 5am moment in the club (although there is nothing wrong about that)”. EDHID is glad to welcome Mano le Tough in Istanbul on 02 May 2014 at Cue Istiklal. Be there and dance.